This building is a pre-cast concrete and pre-engineered steel structure with an EDPM rubber membrane roof. The office projection is complete with a two-story glass entry feature. 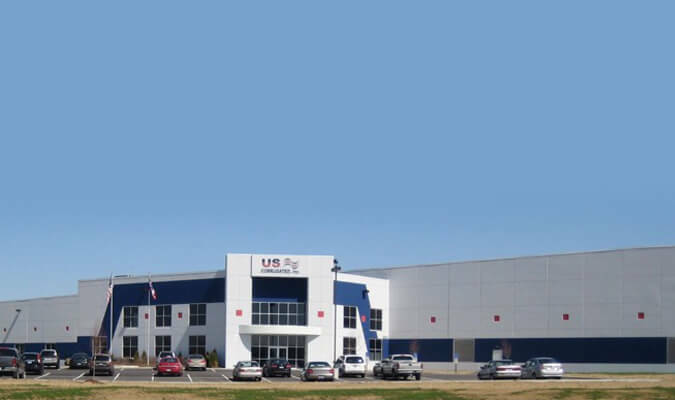 The structure was a build-to-suit, state-of-the-art corrugated box manufacturing facility for US Corrugated with a 27 foot clear height, designed with an internal rail spur.